Pictured above: Bhikkhu Bodhi (left), founder of Buddhist Global Relief with Jennifer and Shaka of Newark Center for Meditative Culture. 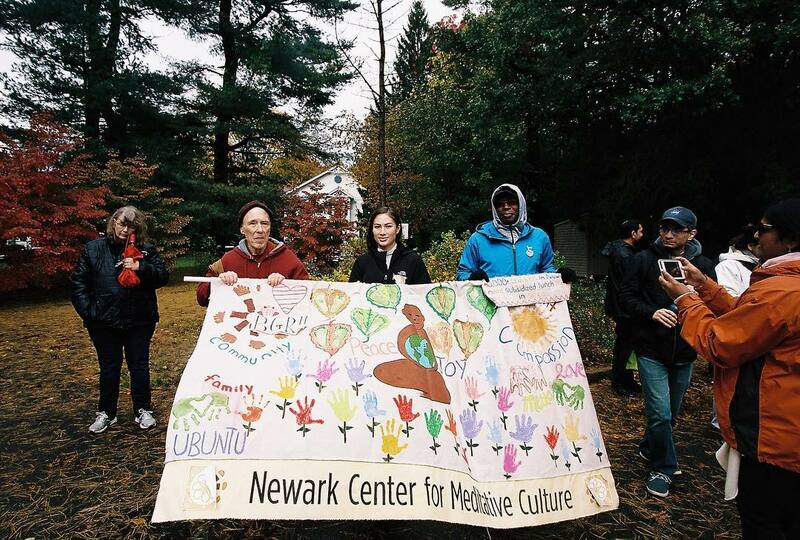 This past November, NCMC participated in a Walk to Feed the Hungry event hosted by Buddha Path of Montclair. Representing us at the walk were Jennifer Becher and Shaka Georges. At our suggestion 10% of the proceeds from the walk, $500, will go to St. John’s Soup Kitchen in Newark, who in 2018 prepared and served over 500 meals daily to those in need. The remainder of the proceeds went to Buddhist Global Relief (BGR) to fund their domestic and global hunger relief projects. We thank Buddha Path for their generosity of spirit and Deborah Steincolor for coordinating our participation. NCMC has participated in several of the annual local BGR Walks to Feed the Hungry and we hope to continue with this tradition.